NEW YORK (AP) — Is “fake milk” spoiling the dairy industry’s image? Dairy producers are calling for a crackdown on the almond, soy and rice “milks” they say are masquerading as the real thing and cloud the meaning of milk. A group that advocates for plant-based products, the Good Food Institute, countered this week by asking the Food and Drug Administration to say terms such as “milk” and “sausage” can be used as long as they’re modified to make clear what’s in them. It’s the latest dispute about what makes a food authentic, many of them stemming from developments in manufacturing practices and specialized diets. DiGiorno’s frozen chicken “wyngz” were fodder for comedian Stephen Colbert. An eggless spread provoked the ire of egg producers by calling itself “mayo.” And as far back as the 1880s, margarine was dismissed as “counterfeit butter” by a Wisconsin lawmaker. The U.S. actually spells out the required characteristics for a range of products such as French dressing, canned peas and raisin bread. It’s these federal standards of identity that often trigger the food fights. 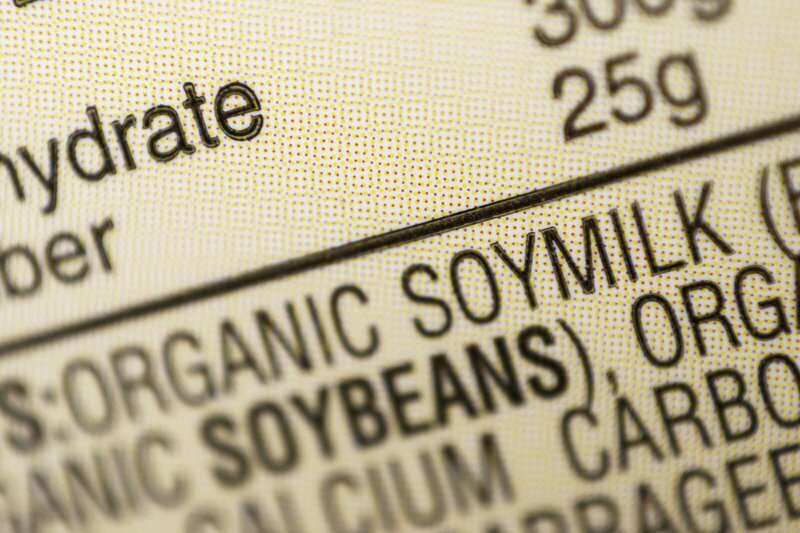 Though soy milk and almond milk have become commonplace terms, milk’s standard of identity says it is obtained by the “complete milking of one or more healthy cows.” That’s a point the dairy industry is now emphasizing, with the support of lawmakers who last month introduced legislation calling for the FDA to enforce the guidelines. “Mammals produce milk, plants don’t,” said Jim Mulhern, president of the National Milk Producers Federation. The federation says it has been trying to get the FDA to enforce the standard since at least 2000 , and that the lack of enforcement has led to a proliferation of imitators playing “fast and loose” with dairy terms. The Plant Based Foods Association, which represents companies like Tofurky and milk alternatives, says standards of identity were created to prevent companies from passing off cheaper ingredients on customers. But the group says that’s not what soy, almond and rice milk makers are trying to do. Those companies are charging more money, and consumers are gravitating toward them, said Michele Simon, the group’s executive director. The little-known Association for Dressing and Sauces showed its might in a 2014 mayonnaise melee. 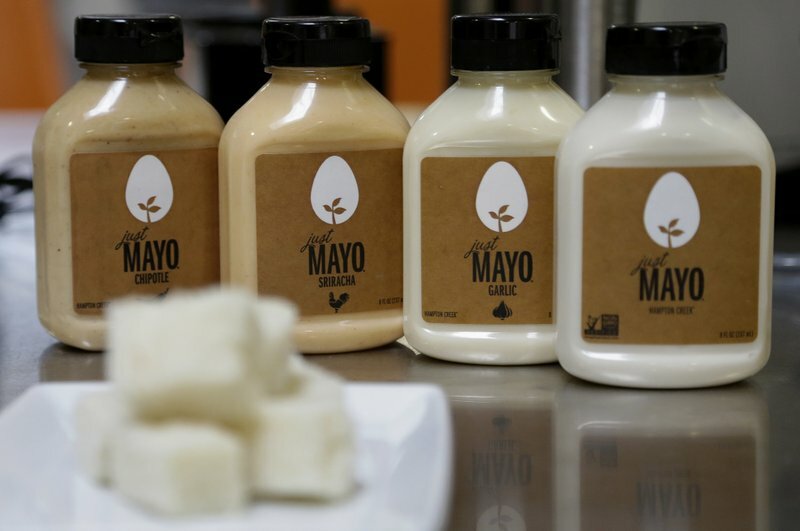 The group repeatedly complained to the FDA that an eggless spread was calling itself Just Mayo, noting that under the federal rules mayonnaise is defined as having eggs. Hellmann’s mayonnaise maker Unilever, one of the association’s members, had sued Just Mayo’s maker citing the same issue. That lawsuit was dropped after the company faced blowback from the vegan spread’s supporters. The dressings and sauces group wasn’t the only one upset by Just Mayo’s name. The CEO of the American Egg Board, which represents the egg industry, also tried unsuccessfully to get a consultant to stop the sale of Just Mayo at Whole Foods. The revelations led to an investigation by the U.S. Department of Agriculture. Soon after, the egg industry group’s CEO retired earlier than expected. As for Just Mayo, the company worked out an agreement with the FDA to keep its name — with some strategic tweaks to its label to make clear it does not contain eggs. It was a milk protein concentrate at issue in a lawsuit over Yoplait Greek. That ingredient isn’t listed in the FDA’s standard of identity for yogurt. What’s more, the suit said General Mills relied on the ingredient to thicken its yogurt, rather than straining it the way other Greek yogurts are made. “Not only was it not Greek yogurt, it wasn’t yogurt at all,” said Brian Gudmundson, the Minnesota lawyer who filed the suit. The case was ultimately dismissed by the judge, who said the matter would be better handled by the FDA. Gudmundson said he reached out to the agency afterward, but nothing came of it. 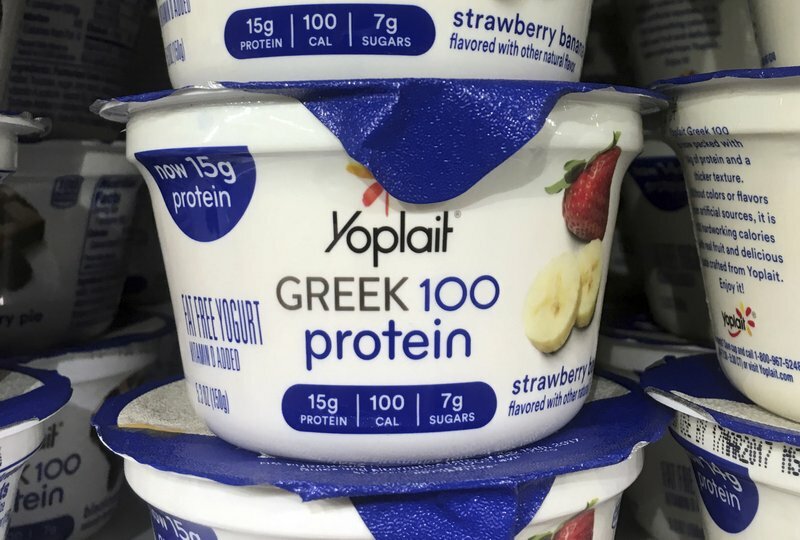 Yoplait Greek’s maker, General Mills, says it has since made recipe changes to its yogurts and it no longer uses milk protein concentrate in Yoplait Greek. The company had also noted in legal filings that the FDA said during a seminar that milk protein concentrate could be used in yogurt. 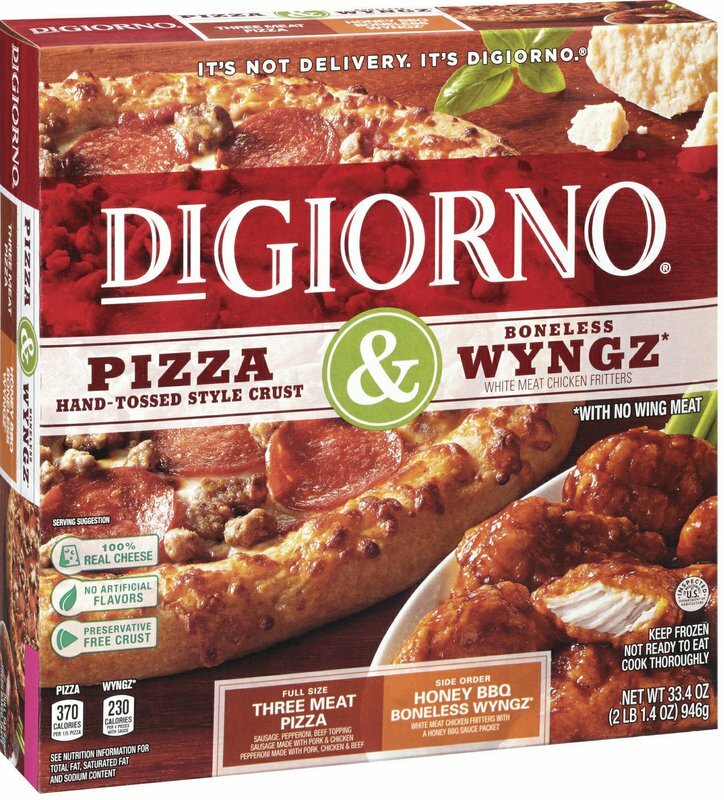 “Wyngz” scored a high-profile TV appearance not long after DiGiorno launched frozen meals with pizza and the boneless chicken pieces in 2011. “The Colbert Show” called the spelling out as a “government-mandated” way to get around the fact that they’re not made of wing meat. Colbert cited a page on the USDA’s website that said the odd spelling could be used for a product that is “in the shape of a wing or a bite-size appetizer type product,” but not made entirely from wing meat. “No other misspellings are permitted,” the website says. Nestle proudly noted that it believes it was the first, and perhaps only, company to approach the USDA with an issue that led to the “wyngz” determination. The USDA says a company had made the request to use the word to describe a product, and did not elaborate. It’s not just soy and almond milk that have drawn the ire of the dairy industry. In 1886, dairy producers supported a federal tax on margarine, which was dubbed “counterfeit butter” by representative William Price of Wisconsin, a major dairy state. In 1902, that law was amended to increase the tax on margarine dyed to look like butter, says Ai Hisano, a business historian at the Harvard Business School. To get around state bans, Hisano said margarine makers provided yellow solution capsules so people could dye the margarine themselves. Fast forward to today, and food identity more broadly remains a polarizing topic. Groups such as the dairy federation say federal standards of identity ensure people get what they expect from products labeled with terms such as “milk.” Animal rights advocates who support plant-based alternatives question whether the standards of identity remain relevant. Matt Penzer, an attorney for the Humane Society of the United States, said some standards are outdated, but are being used by the established players to fend off competition and innovation.